Last year fans fans were re-introduced to the post-Return Of The Jedi era through the book Star Wars: Aftermath, by Chuck Wendig. Now we are just a few days away from the release of it's highly anticipated sequel Star Wars: Aftermath Life Debt. Today, Del Rey has announced a special edition of the book will be exclusively available at Barnes And Noble. 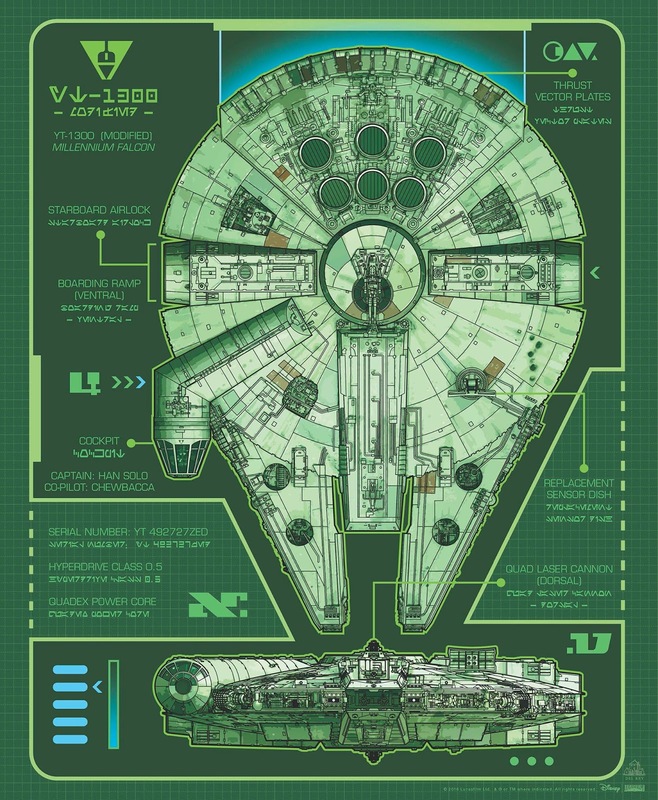 Those that buy their copy at B & N will also get an awesome double-sided poster. 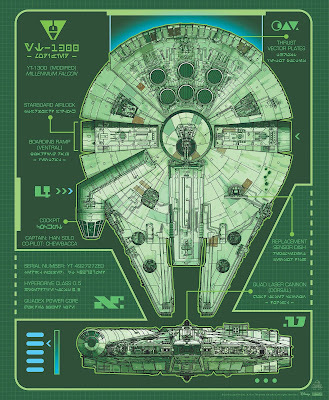 One side of the poster features a schematic of the Millennium Falcon(above), which is also included prominently on the cover of the book. 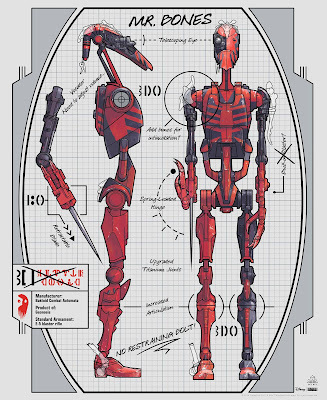 The second is a schematic of Temmin "Snap" Wexley's lovable modified B1 Battle Droid Mr. Bones(below). The drawing also includes notes about Mr. Bones from Temmin himself. 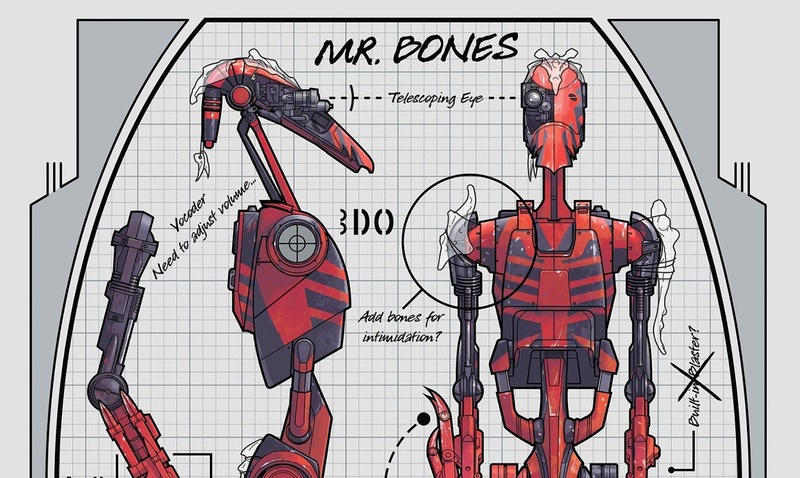 This artwork, which was created by Chris Reiff and Chris Trevas, is our first official likeness of Mr. Bones who was a favorite among fans in the first book. Star Wars: Aftermath Life Debt will be available everywhere books are sold on July 12th, but be sure to pick up the special edition version at your local Barnes And Noble to get the above poster! 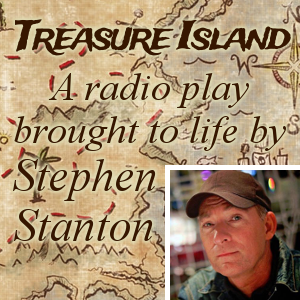 I have to admit, pretty freaking cool. I am hoping they do more of this in the future. 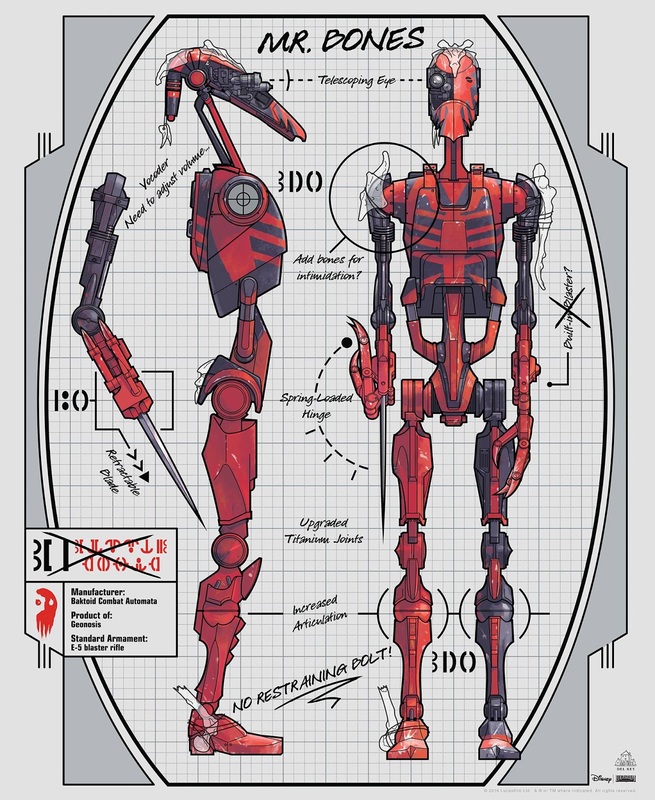 More character art from the novels would be awesome.